Below you'll find my Hand Picked Headline News today. Even if they won’t admit it, students are using Wikipedia to kick off their research and fill the gaps in their class notes ... right now. It might not show up in the bibliography, but the free, open source online resource has long since become the starting point for settling factual disputes, brainstorming paper ideas and even offering suggestions for further reading. If that’s an open secret, then so is this: For all the hand-wringing over whether Wikipedia is a legitimate source for completing college assignments, some professors are quietly incorporating it into their classrooms and even their research. Others, noting features of the Web site that contribute to inaccuracies and shortchange the value of expertise, are building variations on the model that are more amenable to academics and to peer review. Using those cool little applications designed to enhance social networking sites like MySpace and Facebook can make personal information as public as posting it on a billboard.Trouble is, most students (and educators) never have a clue. Consider Sarah Brown. She's unusually cautious when it comes to social networking. The college sophomore doesn't have a MySpace page and, while she's on Facebook, she does everything she can to keep her page as private as she can. Sometimes Edward J. Berger leaves class with the nagging feeling that some of his engineering students at the University of Virginia just aren't getting it. Maybe the concept he was trying to get across was too abstract. So he heads back to his office, films himself working through an actual problem, and posts the video to the course blog. Most of the students tune in, even though watching is optional and the cinematic style is not the kind of thing that fills seats at the multiplex. Article appears in 2008 edition of Journal of Interactive Online Learning (JIOL). Take a look at this article appears in Volume 7, Number 1, Spring, 2008 edition of Journal of Interactive Online Learning (JIOL). Virtual schools are rising in popularity and presence. Unfortunately, there is a relative dearth of research related to teaching and learning in virtual schools. Although there are numerous handbooks addressing teaching online, there is little research on successful online teaching in the K-12 arena. Much of the existing research focused on teaching online is rooted in face-to-face content, not focused on content areas, built upon a post-secondary audience, or fails to use data from the teachers themselves to triangulate findings. This article reports on a study of 16 virtual school teachers from the Michigan Virtual School (MVS). It reports on best-practices from the interviews conducted with MVS teachers; and also provides research triangulation for those practices. The paper concludes with implications for policy, research, and practice. Meredith DiPietro is a doctoral candidate in Educational Technology at the University of Florida. Her research incorporates theories of psychology and pedagogy to investigate the integration of digital technologies into online and off-line educational environments. She has extensive experience working with virtual schools and is currently researching the pedagogy of virtual school teachers. Richard E. Ferdig’s research centers on combining cutting-edge technology with current pedagogic theory to create innovative learning environments. Dr. Ferdig is an associate professor in Educational Technology at the University of Florida, where he co-directs the EdTech Online Program. Erik W. Black is a doctoral fellow and candidate in the School of Teaching and Learning at the University of Florida. His research blends contemporary psychological and educational theory in the analysis of data derived from virtual and technology-rich environments. Megan Preston is a elementary education major in the School of Teaching and Learning at the University of Florida. She has experience working with virtual school to explore the instructional practices of virtual school teachers. 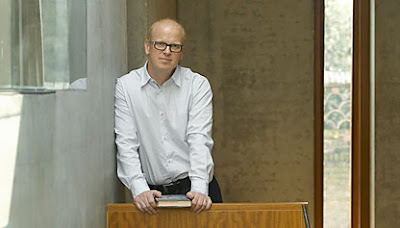 Charles Leadbeater is a leading authority on innovation and creativity. He has advised companies, cities and governments around the world on innovation strategy and drawn on that experience in writing his latest book We-think: the power of mass creativity, which charts the rise of mass, participative approaches to innovation from science and open source software, to computer games and political campaigning. We-think, which is due to be published in 2007, is the latest in a string of acclaimed books: Living on Thin Air, a guide to living and working in the new economy; Up the Down Escalator, an attack on the culture of public pessimism accompanying globalisation and In Search of Work, published in the 1980's, which was one of the first books to predict the rise of more flexible and networked forms of employment. In 2005 Charles was ranked by Accenture, the management consultancy, as one of the top management thinkers in the world. A past winner of the prestigious David Watt prize for journalism, Charles was profiled by the New York Times in 2004 for generating one of the best ideas of the year, the rise of the activist amateur, outlined in his report The Pro-Am Revolution. We-Think is the latest book to explore how the internet is changing our world, and creating a culture in which more people than ever can participate, share and collaborate. Tiltag til at fremme iværksætteri blandt danske studerende er endelig begyndt at give gevinst. Ud over at antallet af udbudte kurser er steget, er der sket en mindre stigning i antallet af ansøgere. Den seneste uddannelsesrapport fra kompetencecentret Øresund Entrepreneurship Academy (ØEA) konkluderer et markant større udbud af iværksætterkurser og en mindre stigning i antallet af ansøgere, og dette er en pil i den rigtige retning. Rapporten konkluderer endvidere, at de videregående uddannelsesinstitutioner, det vil sige universiteter, professionshøjskoler og erhvervsakademier, i de senere år fået øget fokus på undervisning og træning af studerende i entreprenørskab. Øresund Entrepreneurship Academy (ØEA) er et kompetencecenter inden for undervisning, men fungerer også som fond for de 12 medlemsuniversiteter under Øresundsuniversitetet. Øresund Entrepreneurship Academy vil skabe overblik og langt bedre information om de mange muligheder indenfor entrepreneurship-undervisning i Øresundsregionen. Entrepreneurship subjects across 12 universities in the Øresund region. Øresund Entrepreneurship Academy unites and develops strong competences and experiences with entrepreneurship education at the universities of the Øresund region. Øresund Entrepreneurship Academy's Uddannelsesrapport Sommer/efterår 2007. Rapporten udkom 30. maj 2008. This report is the fourth in a series of publications from Øresund Entrepreneurship Academy which aims to give a critical account of the teaching competencies, courses and other entrepreneurship initiatives at the universities in the Øresund Region. Just look at these articles in this EDUCAUSE Review, vol. 43, no. 2 (March/April 2008) below. Increased openness, two-way dialogue, and blurred distinctions between experts and amateurs have combined with numerous technology tools for dialogue, personal expression, networking, and community formation to “remake” conferences, influencing not only how attendees participate in but also how organizers host conferences today. George Siemens (gsiemens@elearnspace.org) is Associate Director, Learning Technologies Centre, at the University of Manitoba and is Founder and President of Complexive Systems Inc.
Peter Tittenberger (tittenbe@cc.umanitoba.ca) is Director, Learning Technologies Centre, at the University of Manitoba. Libraries are successful to the extent that they can bridge communities and can leverage the diversity of the quest, the research, and the discovery. By building bridges among various sectors, libraries will be able to define themselves in the next generation. Peter Brantley ( pbrantley@diglib.org) is the Executive Director for the Digital Library Federation (DLF), a not-for-profit association of libraries and allied institutions. E-Books in Higher Education: Nearing the End of the Era of Hype? What is the reality with respect to e-books? Will e-books finally take off? After nearly two decades of talking about how e-books are right around the corner, have we finally reached the corner? Yesterday, I was browsing in a used bookstore and found something more than the hand-me down literature in the bookshelves. Posted on two of the walls in the shop was an exhibit of what was described as “found art.” It was in fact a collection of all the things that were found within the pages of the used books. I guess people sell their used books but forget to take out what they leave inside as bookmarks. There were all kinds of things: grocery lists, receipts, baby photos, to-do lists, even a very intense and personal love letter. 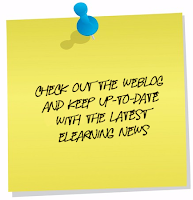 Elliot Masie, the American eLearning expert and director of the Masie Center, has recently formed an online community. It is called "LearningTown! ", and its organizer describes is as a "vendor-neutral learning focused network". The "village for learning professionals" is sub-divided into special-interest groups such as mobile learning, nextgen learning, women and learning, boomer learning, and others. Continuing their campaign to draw attention to the cost of textbooks, the Student Public Interest Research Groups celebrated Tuesday what they’re calling a major milestone — reaching 1,000 professors who’ve signed a statement supporting the use of free, online and open source textbooks. Want to read the current issue? Here is yet another book, I thought you may find interesting. Student engagement with digital learning resources and online social networking are strong forces in education today. How can these resources best be utilized by educators and course designers in higher education? This book aims to provide the reader with enough background information to appreciate the value of social networking, especially for distributed education. 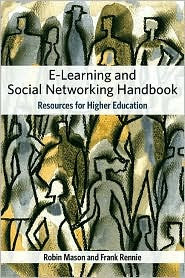 Through highlighting the most relevant, interesting, and challenging aspects of e-Learning the book provides practical advice for using social networking tools in course design. This volume covers the following issues of course design using social networking: key issues of social networking as an educational technique; designing for a distributed environment; strengths and weaknesses of delivering content in various formats: text, audio and video; specific media: blogging, wikis, podcasting, webcasting; constraints on course design; and, implementation, evaluation, induction and training.Illustrated by short descriptive case studies, it also highlights contact addresses, websites, and further reading to help readers find resources and enhance their design. Robin Mason is Professor of Educational Technology at the Open University where she is a specialist in the design and practice of online teaching and learning. Frank Rennie is Professor of Sustainable Rural Development at the UHI Millennium Institute in the Highlands and Islands of Scotland. The Best of eLearning Guild offers a unique approach to the topic as it covers three different, yet often intertwined, approaches to eLearning: Strategy and Management, Capturing Skills and Knowledge, and Facilitating Skill and Knowledge Transfer. The book covers the most common technologies, such as authoring tools, XML, and storyboarding as well as the more cutting-edge technologies such as mobile eLearning and reusable learning objects. 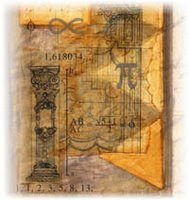 In addition, there will be a companion webpage, on which customers will find never-before-published tips, tricks, and techniques from several of the contributors, keeping the book up-to-date well after the first reading. SECTION 1: e-LEARNING STRATEGY AND MANAGEMENT. Chapter 1: If You Only Look Under the Street Lamps . . . or Nine e-Learning Myths (Lance Dublin). Chapter 2. High Attrition Rates in e-Learning: Challenges, Predictors, and Solutions (Margaret Martinez). Chapter 3. Learning Measurement: It's Not How Much You Train, But How Well (Jeffrey Berk). Chapter 4. The XML e-Learning Revolution: Is Your Production Model Holding You Back (Doug Wallace and Anthony Levinson). Chapter 5. Integration of e-Learning and Knowledge Management (Desiree Tryloff and Victoria Bowen). Chapter 6. The Design Document: Your Blueprint for e-Learning Standards and Consistency (Monique Donahue). Chapter 7. Steps to Creating a Content Strategy for Your Organization (Ellen Wagner). SECTION 2: CAPTURING SKILL AND KNOWLEDGE. Chapter 8. Back to the Basics: Revisiting Great Training on Behalf of Great e-Learning (Allison Rossett). Chapter 9. Evolution of an e-Learning Developers Guide: Documenting Decisions and Intentions (Mike Dickinson). Chapter 10. Evolution of an e-Learning Developers Guide: Instructional Design and Project Management (Mike Dickinson). Chapter 11. Using Microsoft Word for Rapid Storyboard Development: Efficient Production of Professional e-Learning Storyboards (Cynthia Holmes-Radner). Chapter 12. The New Frontier of Learning Object Design (Ellen Wagner). Chapter 13. Avoiding Assessment Mistakes That Compromise Competence and Quality (Patti Shank). Chapter 14. Templates, Reusability, Future-Proofing, and the Technology Side of Rapid e-Learning (Kendrick Abell). Chapter 15. A Team of One: Rapid e-Learning Environment at Break-Neck Speed (Stephanie R. Sanford). SECTION 3: FACILITATING SKILL AND KNOWLEDGE TRANSFER. Chapter 16. Six Principles of Effective e-Learning: What Works and Why (Ruth Clark). Chapter 17. Bridging the Formal-Informal Gap: Blended Learning Evolves (Clive Shepherd). Chapter 18. Behind the Screens: A Look at The eLearning Guild's Online Forum Series (Karen Hyder). Chapter 19. Fast Track Your e-Learning Video Development: Targeting Production Needs Analysis (Laura Levy). Chapter 20. Simulations and Games: Revisiting Their Strategic Value (Allison Rossett). Chapter 21. 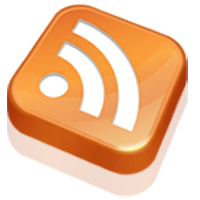 Be Constructive: Blogs, Podcasts, and Wikis as Constructivist Learning Tools (Joyce Seitzinger). Chapter 22. Using Radio Production Techniques to Improve Synchronous Communication (Marc Gamble). The eLearning Guild is a worldwide Community of Practice for e-Learning design, development, and management professionals. The Guild offers members high-quality learning opportunities, networking services, resources, and publications. Members represent a diverse group of managers, directors, and executives focused on training and learning services, as well as e-Learning instructional designers, content developers, web developers, project managers, contractors, and consultants. Discover more at www.elearningguild.com. 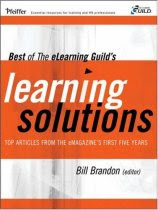 Bill Brandon, a 40-year training industry veteran, is the editor of The eLearning Guild's e-Magazine, Learning Solutions, as well as their e-Books. eBooks from The eLearning Guild are guaranteed to put a wealth of information at your fingertips! 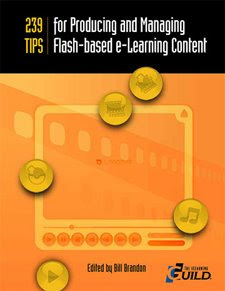 In February and March, 2008, The eLearning Guild conducted a survey of its members, asking for their favorite tips for producing and managing Flash-based e-Learning. A total of 147 members responded to the survey, contributing 239 usable tips on 28 products (17 of which were not included in the original list). Just to let you know that these article below, appears in the latest EDUCAUSE Quarterly Volume 31, Number 1, 2008. A May 2007 Congressional advisory committee found that average full-time undergraduates spent between $700 and $1,000 on textbooks in 2003–2004 and that from 1987–2004, textbook prices at four-year public colleges rose 109 percent compared to a rise in the Consumer Price Indout the authorex of 65 percent.1 We all complain, not least the students, but we never do anything about it. Charles Hannon (channon@washjeff.edu) is Associate Professor and Chair of Information Technology Leadership at Washington & Jefferson College in Washington, Pennsylvania. Many universities use electronic portfolios (e-folios) to collect student work and assessment data for accreditation purposes at either the program or unit level. Programs within teacher education can include early childhood, elementary, middle level, and secondary education. For accreditation, each program is responsible for meeting a specific standard set for that program. Teacher-education programs must align their curricula and student outcomes with state and national teacher-education standards. These standards provide direction for the selection and inclusion of artifacts in the e-folio and affect its organization. With e-folios, students can enter evidence such as lesson plans, parent communication samples, and implemented assessment strategies. Evaluation data are aggregated and disaggregated to demonstrate that a program meets the necessary standards and to highlight the program's strengths and weaknesses. Colleges of education can use the data to guide changes in their curricula. Barbara Meyer (bbmeyer@ilstu.edu) is an Associate Professor and Nancy Latham (nilatha@ilstu.edu) is an Assistant Professor of Curriculum and Instruction at Illinois State University in Normal. Meyer currently serves as the Coordinator for Secondary Education and is the former Electronic Portfolio Coordinator for Teacher Education. Latham serves as the Coordinator for the Early Childhood Program at Illinois State University. "The more elaborate our means of communication, the less we communicate," claimed theologian and educator Joseph Priestly.1 Born in 1733, Priestly could hardly have imagined the Internet, e-mail, and instant messaging, although his prophetic statement presaged a dilemma now faced on college campuses worldwide. The popularity of and reliance on emergent computer-mediated communication technologies such as instant messaging, blogs, and social networks have arguably widened the generation gap between faculty and traditional undergraduate students. Marc Prensky defined this generational technology divide by coining the terms digital natives and digital immigrants. Meredith Weiss (mlweiss@e-mail.unc.edu) is Associate Dean for Administration, Finance, and Information Technology in the UNC School of Law. Both she and Dana Hanson-Baldauf (hansonda@e-mail.unc.edu) are PhD candidates in the School of Information and Library Science, University of North Carolina at Chapel Hill. Many university faculty design and upload course materials to the web using either their own website or a course management system. They typically present content in a linear or sequential structure, using hyperlinks to access course files, websites, and folders. Sequential ordering of content employs chronological or alphabetical order, or arranges content from general to specific. This approach ignores the adage that "a picture is worth a thousand words." If a picture is worth a thousand words, it is because a visual image can generate more cognitive associations that enhance critical thinking and memory than can words by themselves. Michael F. Ruffini (mruffini@bloomu.edu) is Assistant Professor of Educational Technology in the Department of Educational Studies and Secondary Education at Bloomsburg University of Pennsylvania. Exciting New Sweepstakes from eInstruction! Innovation 2008 is Now a Hybrid Conference! I am back online again!